2225 South Jasmine Street Denver, CO. | MLS# 6986266 | Assist-2-Sell, We Sell Colorado - An Experienced Team of Discount Realtors. Wow, Beautiful remodeled and updated condo in great location between University Hills and Virginia Village! Rare ground floor end unit with no stairs. Open kitchen has brand new cabinets, counters, sink, and faucet. Updated full bath has new vanity, sink, toilet, lighting, and fixtures. Open living room is light and bright, has patio door to covered and fenced patio which overlooks greenbelt. Brand new carpet, brand new 6 panel doors, brand new interior paint, brand new easy open and close window blinds, brand new air conditioner, new laminate flooring. Buildings have newer roofing and balconies. HOA includes heat! Community has raised garden beds, clubhouse, pool, and sport court. Deeded parking is carport #182 very close to the condo through a secured gate. 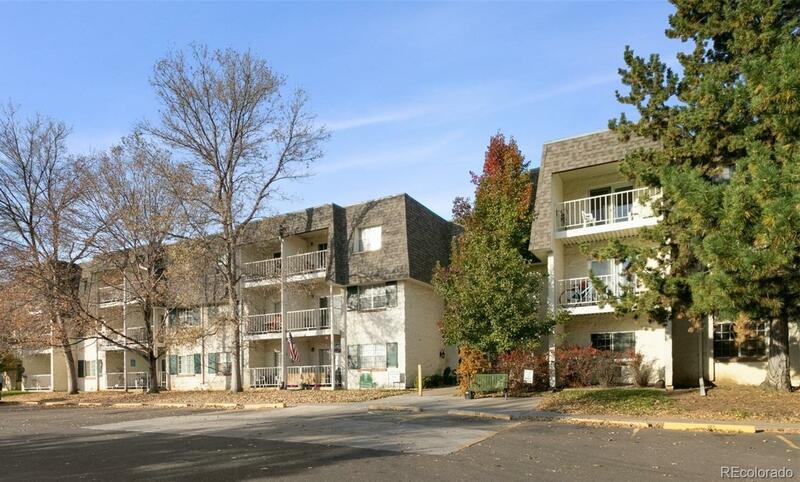 Near public transportation, dining, entertainment, shopping, parks, golf, and Highline Canal. Easy commute to Downtown Denver, Denver Tech Center, Greenwood Village, DIA, Cherry Creek Park, D.U. You'll love living here!